There are not many things in the world which can last for a life time, but a tattoo can be one of those. 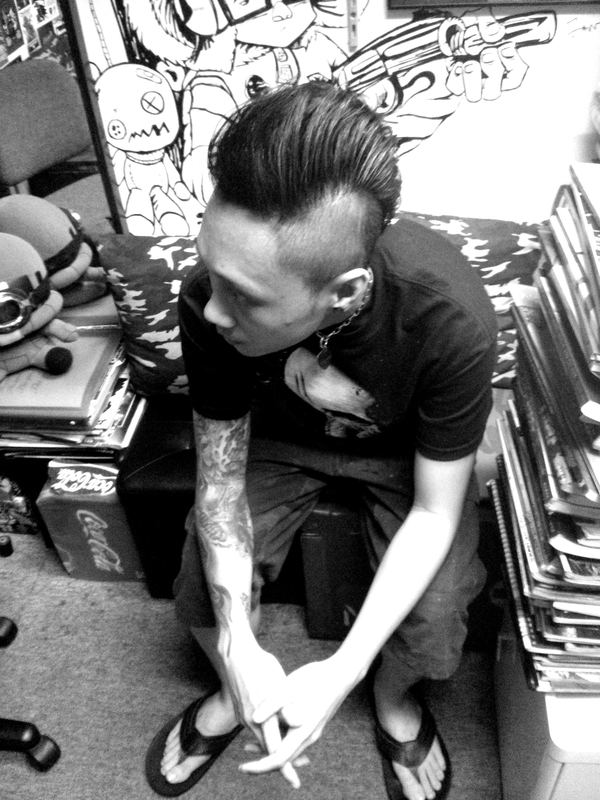 Jan, a 35 years old Hong Kong man, chose tattooist as his career eight years ago. “When you find you love something, and you think you can do it, why not have a try?” said Jan, sitting in his seven-square-meter studio. Jan first set up a small studio with two friends, but three months later he decided to work on his own. This gave him a lot of freedom and the opportunity to develop his own style. He likes to combine Chinese ink painting with western freestyle, giving birth to a ‘hybrid’ which is both tranquil and cool. Jan’s business was slow at the beginning, but he never thought of giving up. His parents didn’t support him as well, thinking a tattooist can barely feed himself. Under these circumstances, Jan’s idol, Bruce Lee and Beyond, gave him a lot of courage and strength. Wherever he goes, he always tries to find the famous tattooist there and talks with them. He also went to Beijing twice to study when he encountered choke point. Skill is not enough. Jan tried many ways to promote his studio, such as distributing leaflets, building website, and putting ads on internet. Finally his efforts paid off. He now has over four thousand fans on Facebook, and his working schedule is almost full. Jan is now considering to expand his work to the mainland, challenging but worth trying. When asked about what makes a good tattooist, Jan said the responsibility comes first. 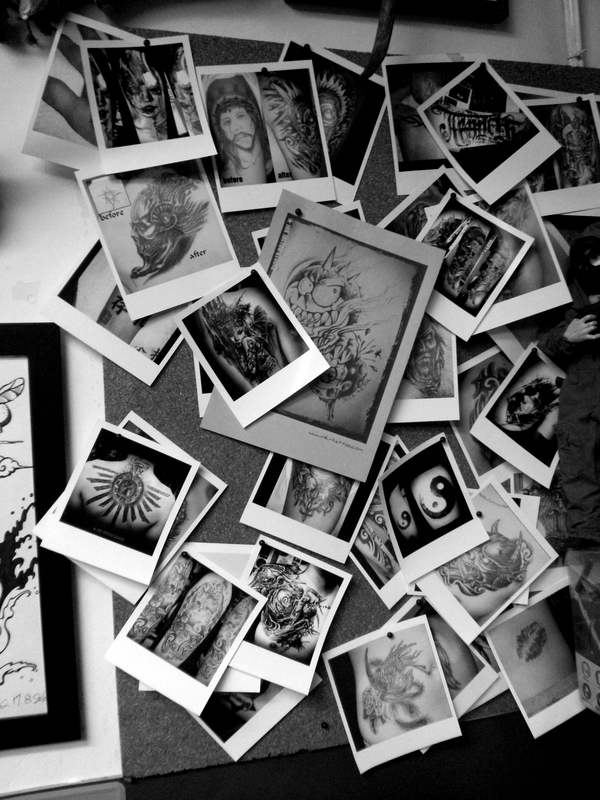 “Tattoo is something that can accompany you for a lifetime. The customers trust you, choosing you to fulfill their expectations and enduring the pain. How can you let them down?” So every time before designing a tattoo, Jan always spends much time communicating with the customer, knowing his need, and helping him know what he really wants.